Cliqist : For the readers who aren’t familiar with Paradise Lost: First Contact, could you tell us a little bit about it? Enol Martinez : In Paradise Lost you take the role of an alien plant that comes to earth in a meteor and crash on a desert. A research organization known as G.E.R. tracks its entrance and captures this life-form for further study in their secret facility. Here begins the challenge of the plant to break free from the place it has been held captive. Cliqist : What is the story behind Paradise Lost: First Contact and does it only center on Subject W? Are there other specimens being studied at the facility? Enol Martinez : The story not only focuses on the escape of W, along the getaway the player will see the different interest of other characters and the secret experiments that take place inside. There are also other “subjects” in the facility but I can’t tell you more about this issue to not reveal the plot. Cliqist : It is obvious that the game is influenced heavily by science fiction games, cinema, and even television. I sense a strong Spielberg influence, it just emanates Close Encounters of the Third Kind and E.T.! I also noticed that there is an influence of Milton’s Poem: Paradise Lost. Enol Martinez : Our writer Sigrid is a big fan of Spielberg, and a lot of inspiration for PLFC comes from its movies. The game also takes a lot of references and similarities with the Milton’s poem, not only the title. Cliqist : Which pieces of science fiction took a heavy influence on the development of Paradise Lost? Did each team member have something from the realm of science fiction to their liking that they brought to the table with development? Was there anything non-science fiction related that contributed as well? Enol Martinez : All three members of Asthree love Sci-fi and contribute with their ideas. The game is also inspired for other classics we love as Alien or The thing and series like Fringe which we’re big fans in the studio. Other references come from videogames like Metal Gear or Metroid, of which we are great fans. Cliqist : In February, many changes to Subject W’s animations were improved / redesigned. Are there any other visual changes/improvements being made or planned to be made elsewhere in the game? If so, what will be affected? Enol Martinez : Most of the improvements will be related with remade animations, adding more detail and frames for almost every one of them. We are also creating more tiles for the backgrounds too, making the overall look more diverse. When we’re advanced in the development we are trying some light effects and light maps if they really mix perfectly with the actual graphic style. Cliqist : In January Kickstarter update it was mentioned that Asthree Works switched to Unity 4 for Paradise Lost: First Contact’s development. What program was previously being used and why the change? Enol Martinez : Fran, our high-tech boy, was using Unity 3 with the 2D toolkit plugin. We jumped to Unity 4 because it comes with useful 2D native tools and a better support to work with this kind of graphics. 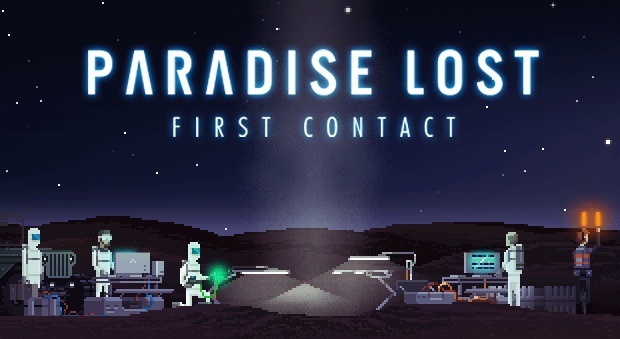 Cliqist : Paradise Lost: First Contact has a very unique appearance. Why was it designed with a low-bit appearance? Does this trace back to the old science-fiction games influences? Enol Martinez : I was committed to make a pixel art game that takes the feeling of old classics but with the addition of new techniques and complex and fluid animations. Taking those elements as a start point I worked on the actual style, trying to show a balance between visual simplicity and animation complexity. Cliqist : How does a 2D side-scrolling game compliment the story of Paradise Lost: First Contact more than other game genres and styles (sandbox for example)? What components of that gameplay style enhance what you’re going for with the story? Would a different game style take away from the story? Enol Martinez : The way we present scenes and cinematics will a key feature of the game. Subject W acts as a casual viewer of the events most of the time, where the player will find the deep and complex relationship between the characters and their interests. Complementing that, some cut scenes and dialogues will take place through the getaway in real time, for example during persecutions or moments of high tension. We can’t tell you more about this issue… beware of the spoilers! Cliqist : Some time ago, the Asthree Works staff had an AMA on Reddit regarding the game and received quite a response and positive feedback. Will there be any more AMAs or means of mass communication with the backers/fans/players in the future regarding progress with the game, etc.? Enol Martinez : Probably we’ll make more events like that to communicate with everyone. It’s very interesting to receive any kind of feedback from the people. We also create periodic updates open to everyone in Kickstater to give its opinion too. Cliqist : I had read in the Steam Greenlight discussions about curiosity over “Easter Eggs” and various science fiction references. Will there be references spread out throughout the game and collectable items? Will any co-op capabilities be implemented in the game or in a separate mode of it? Enol Martinez : Of course there will be! We’re spending a lot of time to include tons of references from every kind of media, not only games. I can’t wait to see the reaction of the gamers when they see some surprises that we prepared. About the co-op unfortunately we didn’t reach the necessary funding to implement our idea of multiplayer in the game… probably for the next one. Cliqist : Will anything multiplayer or co-op related be implemented into the game eventually or is there already something like that incorporated into it? Enol Martinez : As I said, we didn’t make it to create a complex multiplayer experience, but we’re taking those ideas from another game that we have in our heads. Cliqist : How is the current progress with the game? Can we still expect the game to be released this fall? Will the Ouya and Wii U versions be released at the same time as the PC/Mac/Linux version? Enol Martinez : We are taking things not overnight, but a steady pace. Our first priority is the make the game the best we can, and this probably difficult the release of the game this year. The other non PC versions of the game will be released later on 2015. Cliqist : Is there any DLC or additional content being considered to be released of the game well after its release? I noticed one of the stretch goals was a secret chapter 2, so I am very curious about this; especially since the fans seem so eager for this game. Enol Martinez : For now, we don’t have plans to make DLC content. We are focused on making a great experience without later add-ons. About the Chapter 2 it was planned to put players in the skin of Della, the journalist that sneaks in the facility, but at the end we couldn’t make it for that goal. Cliqist : Final question, what are five words you would use to describe Paradise Lost: First Contact? 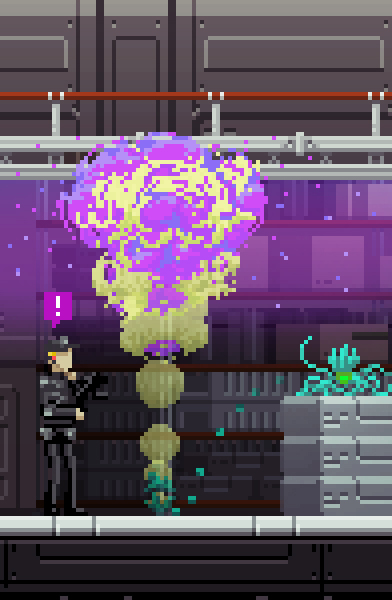 Alien plants + experiments + stealth + cliffhangers. Don’t miss it! Be sure to check out Julies’ recent “Another View” column that she devoted to Paradise Lost: First Contact.